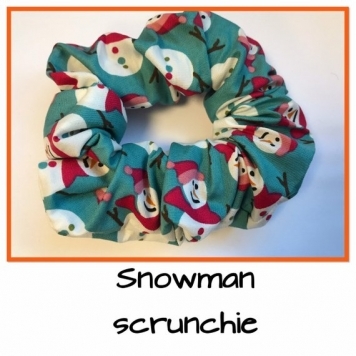 Festive snowman print, perfect for Christmas! A beautiful handmade hair accessory made from 100% cotton. Has a lovely festive snowman print. Great for a finishing touch for the holidays or and a Christmas stocking filler.